Earn up to 11,352 reward points. A killer bass if you've got the hands. 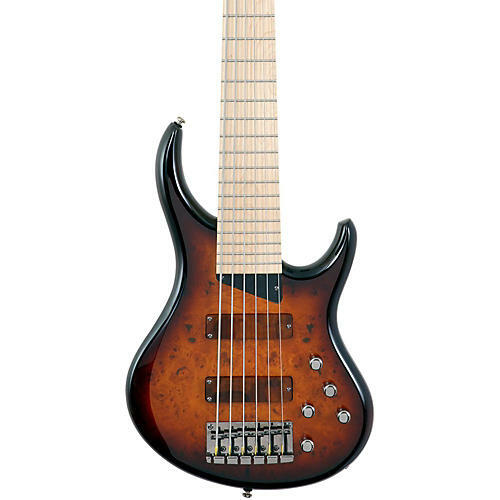 MTD's Kingston KZ 6-string bass bass is loaded with reversed split-coil humbucking pickups wound to exacting specs attractively housed under burled maple covers. acive electronics, tuned by Michael Tobias, offer bass, mid and treble tone controls, pickup blend and master volume. All of the circuitry is tucked in a shielded body cavity to ensure an extremely low noise floor. MTD active wood covered soapbar pickups.